Rank #1: Episode Two - How do you say Gaol?? Welcome along to our dinner table where we have conversations that aren't suitable for the regular dinner table. We discuss ghosts, crypts, aliens and everything in between. We are not experts in our topics and this is not a deep dive podcast (all the time), but we are two people that enjoy discussing the stranger things in our world. In the second episode of Not for the Dinner Table #NFTDT we talk about Sophie's ghost hunting trip to Gloucester Prison which included seances and table tipping and a very vocal ghost on the echovox and the East State penitentiary, one of the most haunted prisons in the world Contact us with any of your topics for the Dinner Table at notforthedinnertable@gmail.com Follow us on instagram @notforthe_dinnertable and twitter @NFTDT, over on Soundcloud and please leave a review on iTunes or wherever you have listened to this podcast. Here is the Trailer for Not for the Dinner Table. A new podcast discussing subjects that are not suitable for the dinner table. 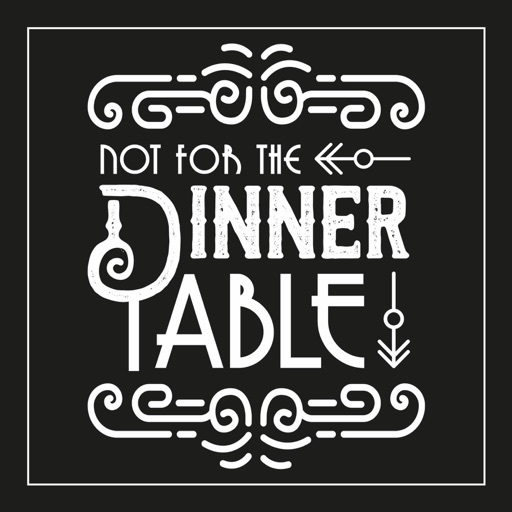 Join us in two weeks for Episode One of Not for the Dinner Table and remember that everyone is welcome at our dinner table!!! © 2019 OwlTail All rights reserved. OwlTail only owns the podcast episode rankings. Copyright of underlying podcast content is owned by the publisher, not OwlTail. Audio is streamed directly from Sophie & David servers. Downloads goes directly to publisher.